Don't know which garage door springs to choose? Read the following garage door tips. 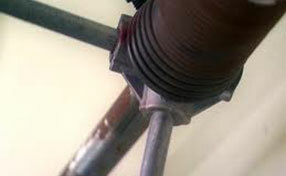 Springs are perhaps the most important part of the garage door. When they break, someone can get hurt. Always inspect the springs to see if they are still in working order; if even one of them looks worn out, make sure that every single one of them is replaced. The strange noises that springs make may be due to lack of lubrication. In this case, our garage door repair experts in San Jacinto recommend gentle cleaning and applying enough silicone-based lubricant, but not too much. If this does not solve the problem, spring replacement is required. If your garage door opener stops working suddenly or it prevents your garage door from opening or closing at all, it must be reset. This problem may be caused by an electronic failure. In that event, it is advisable to ask for professional assistance and our technicians at Garage Door Repair San Jacinto can be of help. 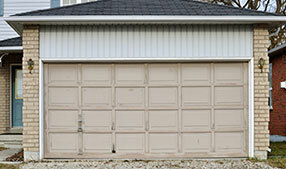 Failure to properly install garage doors can lead to accidents and bad performance of the door. It’s best to trust our professionals since garage doors are extremely heavy and their installation requires great knowledge and expertise. The smallest mistake could destroy your expensive investment. The specialists at our garage door repair company in San Jacinto recommend that it starts with the inspection of all components including the wiring. The safety sensors, the rail and the drive should be cleaned. Drive chains and screws require lubrication. Remember to test the safety sensors, the safety reversal mechanism and the emergency release handle. If you notice any issues, you must have them fixed right away.